Oh jet-setters. Those friends of yours that live in their car or on a plane during the week as they bounce city to city getting their hustle on. 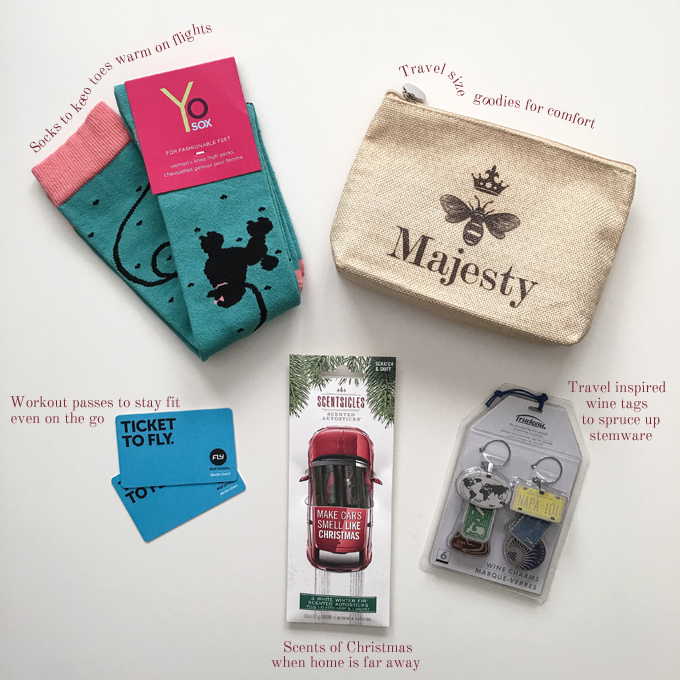 This gift guide is for them; the ones that really need a great gift to make their life on the road as wonderful as their time at home. 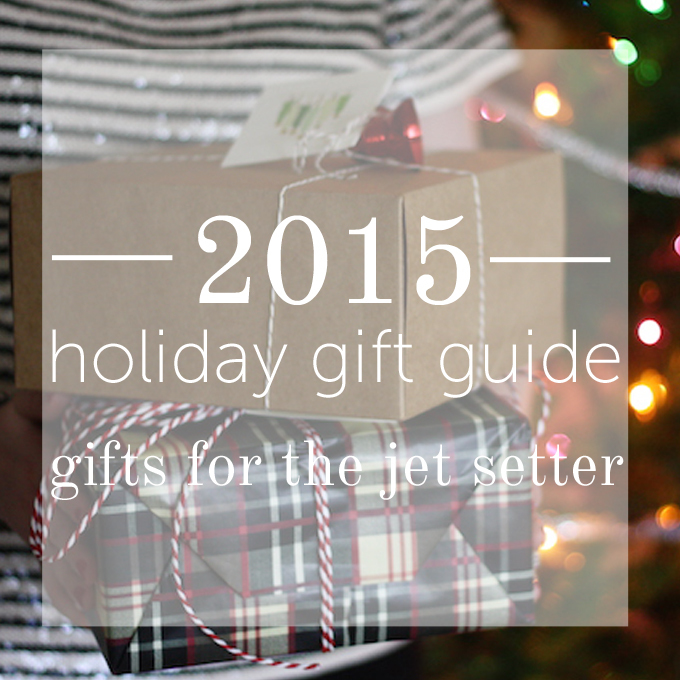 I've rounded up a few of my favorite jet-setting gifts (that make great stocking stuffers, too!) below. 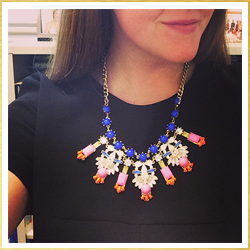 Take a look and find something perfect for your traveling friend. These are GREAT ideas! I know a ton of road warriors who would love a stocking full of goodies like this. Oh that little bag is TOO cute! !